The rechargeable era is beginning! Most of the devices we use on a daily basis are now rechargeable. We are used to phones that need charging each day. We plug in cameras, music players, watches, cars, and bikes. Charging up our devices is second nature to us now. Hearing aids have been an exception for a long time, due to the difficulty of making small rechargeable batteries that hold sufficient charge. But the world of hearing instruments is changing fast, and some ranges are now rechargeable. Are rechargeable hearing aids really worth it? What are the advantages and disadvantages of disposable battery-powered hearing aids? Batteries that fit hearing aids are universal and can be found almost everywhere in the world. There are four battery sizes: 10, 13, 312 and 675. You can find all types of hearing aid batteries on our website here. Most people change their hearing aid batteries every one or two weeks. However, the lifetime of your hearing aid batteries depends on how you use them. If you use your hearing aids with a hands-free kit or another accessory, the batteries will need replacing more quickly. This is just like a smartphone uses up more battery power when it uses Bluetooth®. If you run out of power, you won’t be able to hear, so it’s a good idea to carry some spare batteries with you – especially when you travel. How do you change hearing aid batteries? Since batteries are so small, it can be a challenge to fit new ones. Changing a battery requires first that you open the small battery drawer in the hearing aid, then remove the battery, then remove a small tab from the new battery, then insert the new battery into the hearing aid drawer, and then close it again. Then you need to do the other hearing aid. It may seem easy at first glance, but can be complicated – especially if you lack dexterity or have Parkinson’s disease. We all get less dexterous as we get older, and we lose sensitivity in our fingers as blood circulates less. What’s the environmental impact of used batteries? With two hearing aids and changing batteries once per week, you would use 104 batteries over a year. That’s a lot of batteries to throw away. However, they are made with non-polluting (Zinc-air technology) and are mercury-free since the last European standards. Many batteries are supplied free of charge to hearing aid users, or users can get the price refunded by medical insurance. Just like a smartphone needs to be plugged in at night, rechargeable hearing aids are normally charged up while you sleep, in a charging dock on your bedside table. It is easy to use them during the day and charge them up at night. Why choose rechargeable hearing aids? The advantages of rechargeable hearing aids are considerable. You no longer need to change the batteries every week or two, so there is less fiddling around – making them more practical. And because you don’t need to throw so many batteries away, they are more environmentally friendly. How do you charge hearing aid batteries? You simply seat the hearing aids in a charging dock at night, and wake up to fully charged hearing aids each morning. The charging docks are stable and have recesses to hold the hearing aids. A tiny metal contact on the bottom of the hearing aid conducts electricity into the battery. Most people place the dock on their bedside table so they can take their hearing aids off last thing at night, and put them on immediately when they wake up. Charging docks automatically stop charging hearing aids once the batteries are full, and inform you with a clear indicator light. The charging docks are compact enough to slip into your bag when you are travelling – however, you may need a plug adaptor. Prices for rechargeable hearing aids are similar to conventional hearing aids, however, you will also need to get a charger, which may not be covered by health insurance or other support. Depending on which type of rechargeable hearing aid you buy, you may need to buy rechargeable batteries as well. New rechargeable batteries for hearing aids can be used for more than a year without any decrease in performance. After this time, you may need to replace them. Rechargeable hearing aid batteries do have some drawbacks. They may not be suitable for all hearing aids or all types of hearing loss. A very significant hearing loss may not be compatible because it requires more amplification, which uses more power. Since rechargeable hearing aid batteries don’t last as long as conventional batteries, higher levels of amplification may drain the batteries too quickly for them to be practical. Should I choose rechargeable hearing aids? These selection criteria are there to help you. The choice really depends on your personal needs and lifestyle. If you have dexterity problems or Parkinson’s disease, rechargeable hearing aids will make your daily life a lot easier. We offer rechargeable hearing aids, in fact, we offer hybrid hearing aids, which still allow you to use disposable batteries anytime you like, such as if you forget to take your charger travelling or if there’s a power cut during the night. You simply remove the rechargeable batteries and use ordinary batteries until you have your charger again. 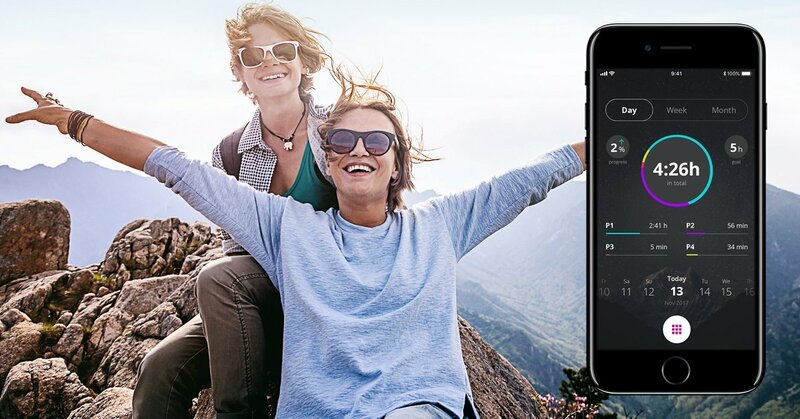 Currently, HearingLife offers you the opportunity to test rechargeable Oticon Opn™ hearing aids, which also allow you to hear naturally at 360°. For more information about rechargeable hearing aids, contact a hearing care expert near you.